MONDAY, March 13, 2017 (HealthDay News) -- A growing number of babies and toddlers are landing in the emergency room for injuries related to strollers, cribs and other nursery products, a new U.S. study finds. However, only 1 percent of those ER trips were blamed on actual product "failures." That does not mean the nursery products on the market are perfectly safe. They can still be more "intelligently designed" to help prevent accidents, said Tracy Mehan, of Nationwide Children's Hospital in Columbus, Ohio, where the study was conducted. In recent years, the issue of childhood concussions has gotten increasing attention, partly because of kids' sports-related head injuries. So, parents may be more likely to bring their child to the ER after a fall or other mishap, explained Mehan, who is manager of translational research at Nationwide's Center for Injury Research and Policy. "Those are only the injuries serious enough to be treated in the ER," Mehan pointed out. "So, the actual number of injuries is probably much higher." Between 1991 and 2003, ER trips declined by over one-third, the study found. That improvement was largely due to an 86 percent drop in injuries related to baby walkers, "jumpers" and "exercisers." According to Mehan, that represents a "big success story." Walkers, for instance, allowed babies to move around quickly, before they were developmentally ready. "We started seeing these serious injuries from falls," Mehan said. That led researchers to work with lawmakers and manufacturers to devise tougher safety standards and product revisions -- like making the walkers too wide to fit through doorways. No one product seemed to drive the injury increase after 2003. But one type of injury -- concussion -- stood out. Dr. Barbara Pena is research director for the emergency department at Nicklaus Children's Hospital in Miami. "I think that years ago, there wasn't as much concern when a child fell or hit his head," Pena said. "But now, parents are more likely to bring their children in." It's also common, she said, to see young children with injuries related to nursery products. Cribs and strollers were also commonly implicated. 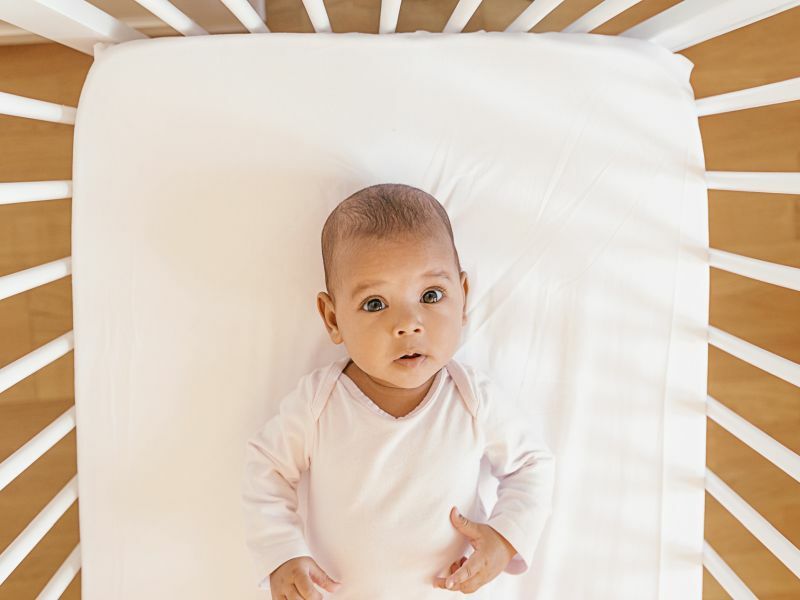 Cribs can present a risk of entrapment or suffocation, according to Mehan -- especially if parents use a mattress that is not designed for the crib, or if they put blankets, "bumper pads" or other soft objects in with their baby. "Make sure you're using these products carefully, and use every safety feature 100 percent of the time," she said. Research: Before you buy a nursery product, do some digging using a "trusted resource," like the American Academy of Pediatrics or the CPSC. She noted that many parents buy or borrow used nursery products. "If you do that, make sure you inspect it carefully, and look for any broken pieces, missing parts or chipped paint."